Four of the top 10 teams in the state according to the Flo50 poll highlight the girls Class A race. The Gorham Rams, second in the poll, come in as the favorites. There top five is incredibly strong with Iris Kitchen, Anna Slager and Kate Tugman leading the way. The Rams have as formidable a trio as there is in the state, but they also have quality four and five runners in Meadow Fortier and Sarah Johnson. Both athletes have run under 21:00 this season. With those two, and Kitchen, Slager and Tugman all battling for top 10 finishes, Gorham should be in good shape on Saturday. Deering, fifth in the poll, has two runners in Nicole Whipkey and Sierra Aponte-Clarke who have run 19:40 or better this season, and will likely challenge for top 10 finishes. They also have a strong 2-5 group of Lucy and Grace Tumavicus, and Hadley Poirier, who have each run in the 20:30-20:40 range. Deering finished 12th last season. Falmouth, ranked seventh, has the potential to be a very dangerous team this weekend. Freshmen Sofie Matson comes in as the favorite, and Karley Piers has been an excellent second runner, having run under 19:00 for 5k this season. They have a realistic chance of sweeping the top spots. Where Falmouth could be very dangerous is if Malaika Pasch can have a strong race. She's been coming back from injury but recently ran 20:19 for 5k at Marshwood. If Falmouth sweeps the top two spots, and Pasch can ran to a top 15 finish, they have a chance of surprising the favorites. However, they fall off a bit with its fourth and fifth runners and will need great races from them. 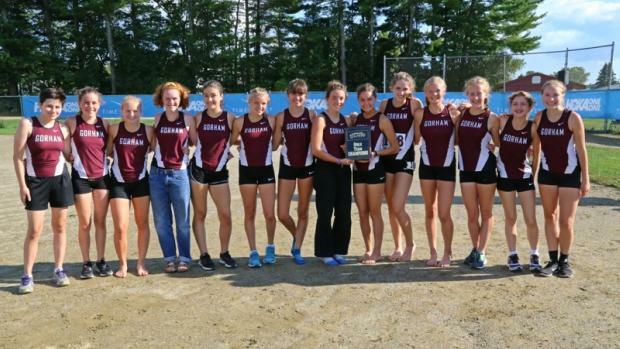 Greely, ranked ninth, is hoping to break into the top three this weekend. Carolyn Todd has been dominant as the Rangers' top runner and will challenge for a top three finish. Its 2-5 of Julia Curran, Chloe Waldrep, Marin Provencher and Chloe Smith all have season-bests within less than 50 seconds of each other, and if they can replicate that running on their home course, they should have a good chance. Bonny Eagle is another team to watch. It's top three of Ami Beaumier, Kayla Raymond and Christine Toy is arguably the top trio in the state but they fall off considerably after that. Can anybody stop freshmen sensation Sofie Matson of Falmouth? So far the answer has been no. She's undefeated in 2017 with her most impressive win coming at the Festival of Champions last month, running 18:17.33 -- which is the fastest time in the state. She's run under 19:00 in all four of her 5ks this season and goes into the weekend with fresh legs after resting last week. If she can go under 19:00 this weekend, she'll join Abbey Leonardi and Emily Durgin as the only Class A runners to have dipped under that barrier in Southern Regional history. After Matson, there are a handful of runners looking to challenge for those next spots. Carolyn Todd of Greely was the runner-up in Class B a year ago and comes in having run a season-best of 18:37.98, which she ran at Festival of Champions. She's won two races this season and should have fresh legs after opting not to compete at WMCs last Friday. 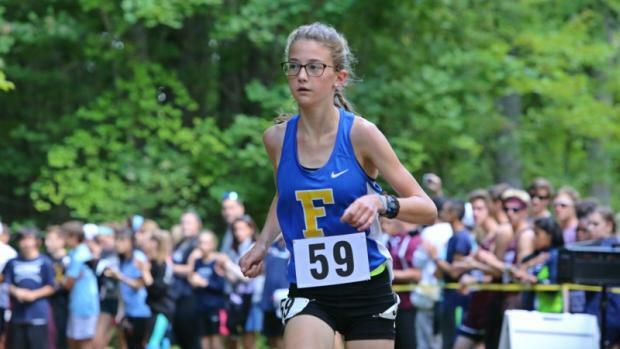 Karley Piers of Falmouth is one of four runners in the region how who've gone under 19:00 this season after running 18:57.76 at FOC, winning the freshman race. She'll look to contend for a top five finish. Bonny Eagle's trio of Ami Beaumier, Kayla Raymond and Christine Toy expect to be in that lead pack. Beaumier has a better season-best of the three, having run 18:57.81 at FOC. She was third in the region in 2016. Raymond has run 19:12 this season, which also came at FOC. She was 10th last year. Toy has run 19:27 and has broken 20:00 three teams this season. She was 14th in the region last year. Bethany Sholl of Scarborough is another runner to watch. She's run 19:11.31 this season and was fifth a year ago.